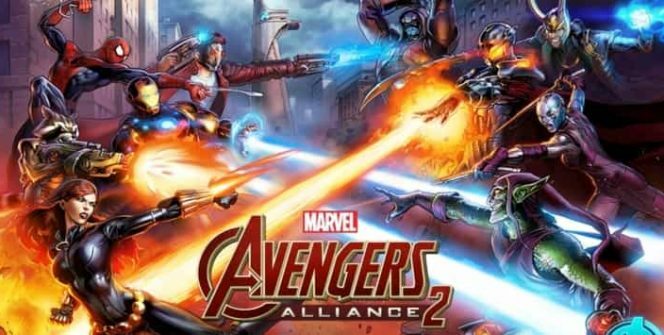 Marvel: Avengers Alliance 2 is the sequel to the hugely popular tactical hero collecting battle game for Android and iOS. You can download this game for Windows 7/8/10 PCs and Mac computers here. You will need an android emulator to run the apk file, use your own choice from the available emulators. Make sure it supports side-loading of APK files, and that it also has access to your internet connection, because this game requires it. The game itself is 50 MB, but it will download a lot more during the first run, making it harder to play on budget phones with low space. But on an Android emulator, you can set the available storage as high as you want to, eliminating this issue. Total size of the game will be about 700-800 MBs, depending on how fast you progress in the levels. Since the game is turn-based, it does not require multi-touch and you have a lot of time to think about your next steps, it is easy to control with a mouse. Or you can use an USB controller emulated as a Bluetooth-compatible one, if the emulator supports it. 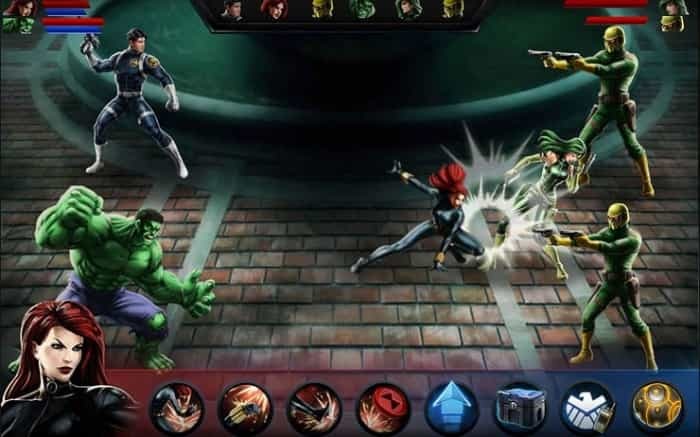 Marvel: Avengers Alliance 2 is one of your typical turn-based combat games, featuring superheroes from the Marvel universe, including Spider-Man, Thor, the Avengers, and more. The game has both PVE and PVP battles. However, even the PVP battles are controlled by the computer, so do not expect real-time battles against someone else. You can collect most Marvel heroes present in the superhero movies, and you have the ability to customize them and upgrade their abilities. It is recommended that you play this game in full-screen mode on a TV or monitor, as the heroes, their attacks and the levels are very well-made and detailed. If you want to try out Marvel: Avengers Alliance 2 on your PC or Mac via an Android emulator, follow the instructions exactly as they are stated. Sometimes when playing Marvel: Avengers Alliance 2, bluestacks ask you fee to pay but gives you option to download some apps. Every time it asks you just select “Install apps” and continue using it free. I hope you enjoyed this guide, please rate and share. If you have problems running Marvel: Avengers Alliance 2 on desktop or any other issues, leave a comment below.